In this article, you’re going to learn all of the different parts of an electric guitar that have the biggest effect on guitar tone. There are literally thousands of different variables involved with the construction of an electric guitar. But at the end of the day, which parts of an electric guitar affect the tone? 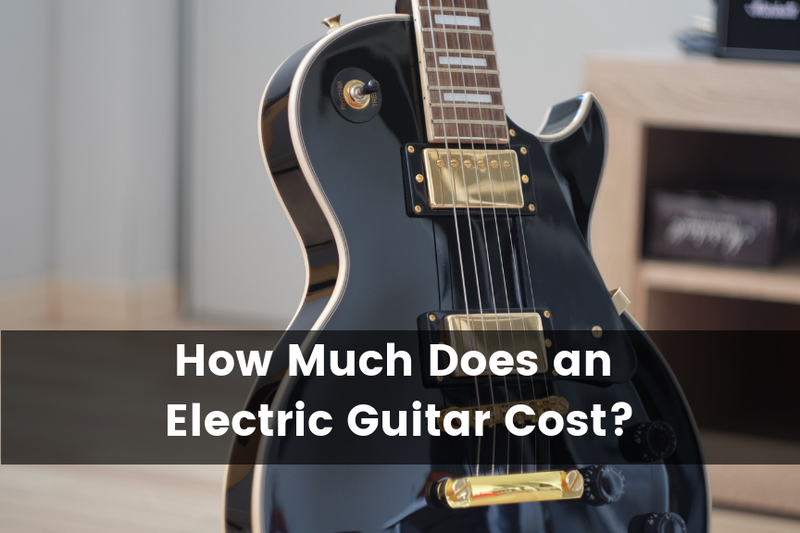 After all, choosing an electric guitar is a huge purchase decision often costing hundreds, or even thousands of dollars. So if the guitar tone and sound is all you’re concerned about, then it might not be worth spending the extra cash for features that don’t contribute to the tone. The short answer is that nearly all the parts of an electric guitar affect the tone in some way. Everything including the pickups, size, and weight of the guitar, wood, construction and overall setup of the guitar can potentially affect the tone of the guitar. With that being said, certain parts will have a much more significant impact than others. Some features affect the tone in such a subtle way that the majority of players won’t even be able to tell the difference. 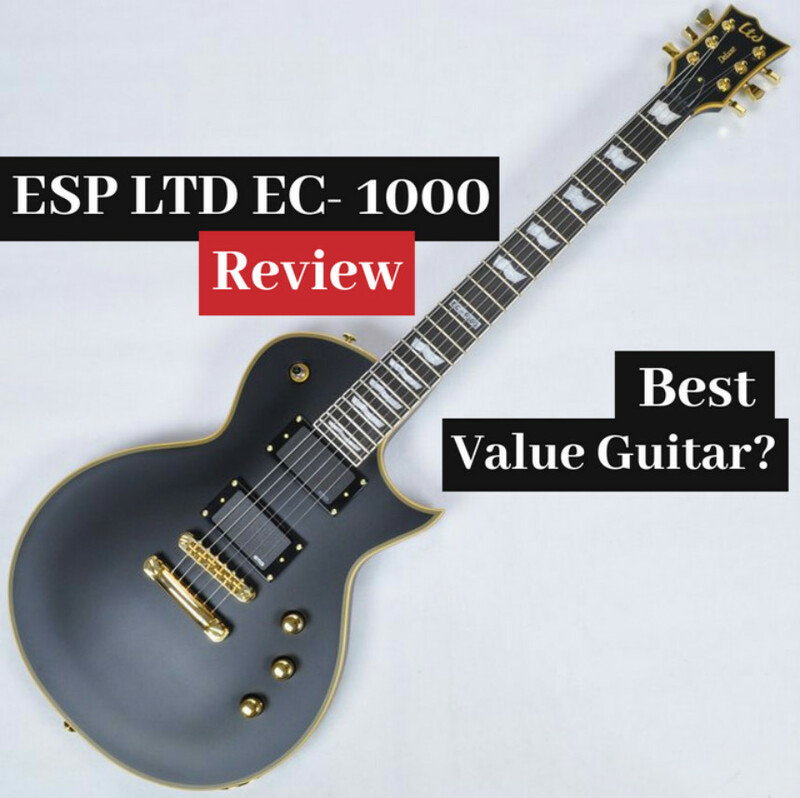 After reading this article, you’ll have a better understanding of what contributes the most to the tone of an electric guitar so you can decide which features are most important to you. The pickups of an electric guitar arguably have the most noticeable impact on the tone of the guitar. The exact same guitar will sound completely different if you swap out the pickups. The difference is night and day. Think about it. The pickups are essentially the main link between the amp and the guitar. They transmit the signal of the guitar to the amp, while also serving as some form of a gatekeeper by cutting or increasing some frequencies coming from the electric guitar. The construction and tonewoods may affect the overall tonal characteristics of the guitar, but the pickups are the bulk of the actual tone’s personality. The pickups shape the natural acoustic tone of the guitar into something more sophisticated, clearer, dynamically responsive and sonically attractive before it reaches the speakers and amp. Upgrading the pickups is one of the easiest ways to enhance a guitar’s tone. A good set of pickups can make even a cheap guitar’s sound good. It can give a guitar a substantial tonal makeover and improve what’s already there instead of transforming the instrument into something else. 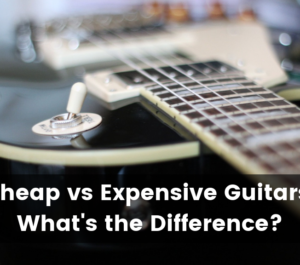 It’s very common for people to purchase an inexpensive guitar, such as Epiphone Les Paul, and then simply upgrade the pickups to official pickups from Gibson that they use in their high-end guitars. This will immediately make your guitar go from a budget guitar to a premium one. Whether your electric guitar has humbucker pickups or single coil pickups can have a significant effect on the tone of the guitar. Single coil pickups consist of either separate magnets beneath each string or one central magnet. The magnet can be made of a magnetic alloy like cobalt, alnico, or neodymium. A ceramic magnet is used when the budget is limited. Single coil pickups are physically narrow and have a well-focused magnetic field. Single coil pickups are known to produce much brighter and “thinner” sounding tones. A classic example of a guitar that uses single coil pickups is the Fender Stratocaster. A single coil pickup produces a high-frequency response and great clarity, but there’s one drawback. It hums. The hum is louder when there’s a large amount of distortion. This is why you hardly ever see Fender Stratocasters used for metal music, where the gain is cranked up very high. Humbucker pickups, on the other hand, have magnetized screws, and two coils of wire looped the opposite direction to negate hum. As a result, a more powerful signal is sent to the amp. Humbucker pickups are full sounding. It’s full of tight lows as well as mids. A good example of a guitar with humbucker pickups is the Gibson Les Paul. The pickups in a Les Paul allow it to have the iconic fat sounding tone that’s excellent for high gain. Though humbuckers are relatively silent in terms of white noise, they also lack chime. They typically don’t have the clarity or brightness of single coils. However, there are humbucker pickups that are designed in a way where you can split the coils, which allows them to produce single coil tones. The original magnetic guitar pickups featured a passive design. These pickups were built by wrapping several copper wire coils around a permanent magnet that is usually made of ceramic or alnico. The magnet is located near the strings, causing the strings to magnetize and become magnets as well. Due to this, the strings disturb the magnetic field when they move. An electrical current passes through the copper wire and it is picked up by the amplifier. One major drawback to passive pickups is the fact that it can transmit a lot of background interference and hum due to the many coils of wire involved. The magnets utilized in passive strings can also pull passive pickups inwards and cause intonation issues. Passive pickups are sensitive to feedback as well. Passive pickups have a greater dynamic than active pickups. If you want to be able to transition from whisper quiet to a loud wail, a passive pickup suits you. Most electric guitars have passive pickups. Notable examples include Strats, Les Pauls, Teles, and SGs. Active pickups, on the other hand, use fewer coils. As a result, they have a lower natural output and require a battery to boost it. Active pickups are typically less susceptible to hum as well as background noise. The output gain of active pickups is higher than passive models. The circuitry of these pickups includes active preamp to improve the signal level, EQ, and filters. In terms of tone, active pickups have a lot more punch to them but can sound a bit harsh. Active pickups are popular among guitarists focused on heavier and rock genres. So, which do you choose? It all depends on your playing style and taste. The strings on the electric guitar also have a major influence on the instrument’s sound and playability. 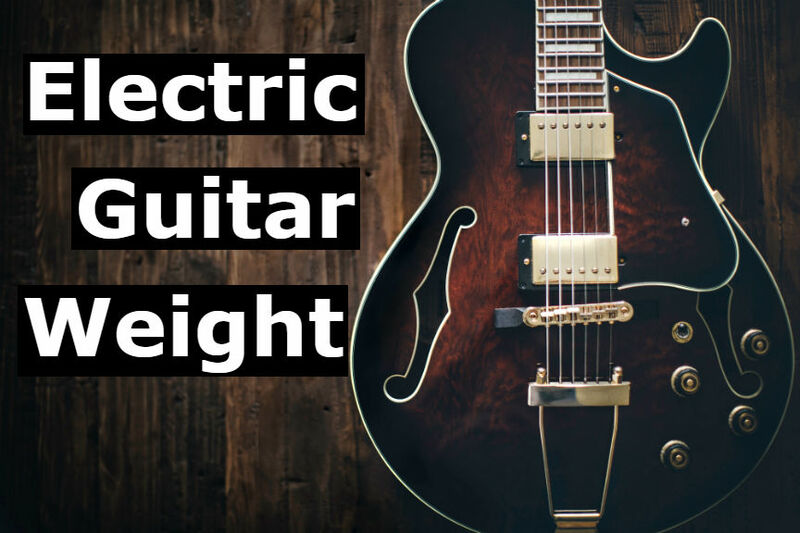 There are plenty of electric guitar strings to choose from that vary in thickness, material, and output that ultimately affect how it will sound. Also, choosing the right string in combination with your specific guitar can change the overall sound as well. Choosing the best guitar strings that fit your style can ultimately affect your playing technique. This will indirectly affect your tone based factors such as your picking technique, bending habits, and vibrato. Electric guitar strings are all made out of metal, unlike acoustic guitars where you have the option of nylon strings. This is because metal is required as a conductor for the magnetic pickups of an electric guitar. The most common string material used for electric guitar strings is nickel. It’s reliable, sounds great, and cheap to produce. However, the problem with nickel strings is that they don’t typically last as long, meaning your tone will get duller much more quickly. String manufacturers will also offer more premium options that use more expensive materials. For example, Ernie Ball offers guitar strings made out of cobalt. This material is much more conductive than nickel, resulting in higher output and brighter tones. Another premium string material used is stainless steel. These strings also have higher output and last longer. In addition, companies like Elixir (my personal favorite), offer premium guitar strings that are coated with their polyweb or nanoweb technology. This makes the strings last considerably longer. However, it can slightly dampen the tone of the strings. In my opinion, it’s definitely worth the tradeoff as they’ll maintain their consistent tone for a long time, rather than getting dull after a week of playing. Electric guitar strings typically come in sets that vary in thickness, which is referred to as string gauge. This can have a huge impact on the tone of your guitar. Heavier gauge strings are usually harder to play, produce more sustain and volume, apply more pressure on the guitar neck, require more finger pressure to bend notes and are chosen for low tunings. These are typically used for heavy metal music due to the darker sounds they produce. Lighter gauge strings are easier to play, break more easily, allow easier bending is fretting and bending of notes, produce less sustain and volume, exert less pressure on the guitar neck and are susceptible to cause fret buzzing. These strings are great for beginners who haven’t yet developed their finger strength and dexterity. The age of the strings can have a noticeable impact on their tone. New strings sound bright and gradually get duller as they wear out. Older strings also tend to fall out of tune more easily as they stretch. In most cases, guitar strings sound better when they are new, but some guitarists prefer the sound of their old strings once they’ve been stretched out over a long period of time. However, they slowly deteriorate until they break. Old strings lose their ability to hold tension and sound lifeless and dull. The strings become brittle and are no longer able to stretch to reach the fret. Old strings get tighter, causing the notes to go sharp. If the guitar strings constantly fall out of tune and are exhibiting obvious signs of accumulated grime and dirt or corrosion, you should consider replacing the strings. The scale length of a guitar measures the length between the nut and bridge of a guitar. This influences how much tension is put on the strings, which will affect overall playability. A longer scale length provides more tension and a brighter sound. A lower scale length, on the other hand, produces less tension and darker sound. It is easier to play than a longer scale length. The tension on a string on the guitar is a product of the tuning, the scale length and the mass of that gauged string. As such, you will have more tension when you increase the scale length on the guitar even if you are using the same gauged string and tuning to the same pitch. There is a lot of debate on whether the actual wood used for the guitar body even has an effect on the tone at all. This is especially the case once you factor in amplifiers, distortion, and effects pedals. Admittedly, this is one of the least significant factors that affect tone and most people won’t be able to tell the difference between tonewoods. However, many people swear by the fact that different woods do have distinct tonal characteristics, so it’s worth mentioning. Construction: Keep in mind that no two guitars will sound exactly identical, even if they are the same model. There are many variables that are factored into the construction of a guitar. Shape: This might be a stretch, but many people believe that even the shape of the wood has an effect on the tone. It’s pretty subtle, so the majority of people probably won’t be able to tell the difference. Mahogany is usually used to make multi-wood and slab bodies and single-wood bodies. It’s also a common neck wood. The SG, Gibson Les Paul Jr. and Les Paul Special have solid mahogany bodies. Mahogany is a medium-to-heavy, fairly dense wood that produces various guitar-body weights. It has a warm and fairly soft tone with a good bite and grinds. Guitars with a mahogany body produce full, but not particularly tight lows and unpronounced highs. Basswood is usually associated with budget or mid-level guitars. Many high-end makers have also used basswood with great results. It’s a fairly soft and light wood with minimal grain. Basswood is light in color. The tonality of a solid basswood body is fat but well-balanced. It has a muscular midrange, but certain breathiness and softness as well. Basswood can produce good definition and dynamics with enough grind. Alder is a medium-weight wood. Guitars with an alder body have a full-bodied, strong and clear sound with excellent lows and beefy mids. The highs sizzle slightly but are seldom harsh. It provides a decent amount of sustain. Alder’s grain is not necessarily unappealing, but it’s not particularly interesting either. It’s often used as a body wood and under opaque finishes. Good ash is resonant and light. It usually boasts a broad grain that looks beautiful under a translucent finish. Swamp ash produces an airy, sweet, and twangy sound. It offers pleasant highs, good sustain, firm lows, and slightly raised midrange. Northern ash and ash from the upper portion of the tree tend to have a harder and brighter sound that might be more convenient when you prefer cutting, distorted tones. Ash is usually used for a single-wood, slab-bodied guitar. Modern designers have also used ash in multi-wood bodies. Most guitar manufacturers provide the choice between the tried and proven fretboard options – ebony, rosewood, and maple. What the fretboard is made of significant influence over the guitar’s overall playability. The material used can affect the tone of the guitar. As such, the fretboard will also depend on your desired tone. The surface of the fretboard must be durable, assist in playability and compliment the tone you’re looking for. Rosewood has an extremely woody brown and works well with traditional guitar designs. It’s the most neutral and even sounding of the three. This is because it’s the softest and offers a nice balance with less snap as well as high-end than you’d usually find on maple or ebony. Rosewood can be pretty porous and provide a certain amount of resistance and texture under the fingers that some players find unpleasant. Ebony has been used for years by manufacturers of classical instruments like cellos and violins. It’s comparable to maple both in feel and sonically. Ebony adds a lot of snap and brightness and also feels smooth under the fingers. The wood is usually jet black in color. 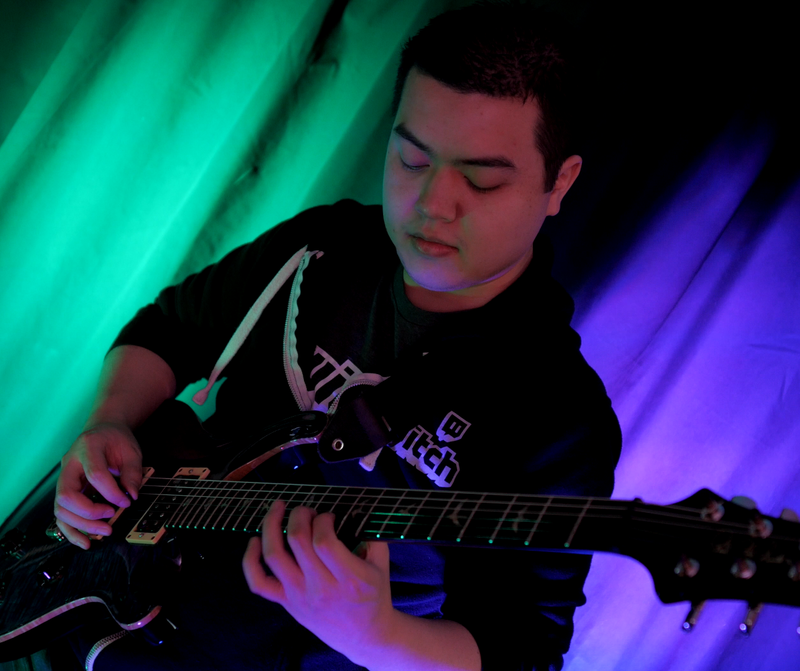 It’s the popular option for heavier music as it is fast to play on, fits the darker aesthetic of most metal guitars and sounds great with a lot of attack. However, ebony is quite sensitive to changes in humidity. It can easily dry out and even crack from expanding and shrinking. The fret ends might also pop out. Ebony is a great fretboard wood option, but it requires more maintenance than maple and rosewood. If the fretboard of your guitar is made of ebony, you should keep it away from extreme humidity and temperature changes and use the right fretboard conditioner like lemon oil. Maple is usually used to make guitar necks. It’s stable and hard as well as not vulnerable to climate change. Maple provides a snappy and bright tone. Since it is not extremely porous, it feels smooth under the finger. As such, it’s a common choice among players who like to play fast and bend a lot. Due to its bright color, maple is usually paired with flashier guitars. It is also used to provide an obvious visual contrast to a dark-colored guitar body. What many people dislike about ample is that the wood displays obvious signs of wear after rigorous amounts of playing. The parts that are played the most show a grayish hue. This is fine for those who want their guitar to have a vintage flavor. However, the discoloration might be an issue for those who want their guitar to look brand new for many years to come. For more information on guitar fretboard woods, check out my comprehensive guide on the best fretboard woods for an electric guitar. The guitar setup affects the instrument’s fret buzz and tuning stability. By setting up your guitar, it will sound and feel great when you play. When you get a new guitar, you’ll typically need to get it set up properly to optimize the way it feels and sounds. This may not seem like it directly affects the tone of the guitar, but you should not take for granted the effect that playability has on tone. If you aren’t comfortable when you play, then you’ll play and sound worse. Remember that finger tone is one of the most important factors. Setting up a guitar involves tweaking various settings or fine-tuning the instrument. An optimized guitar is easier to play and sounds better. Here are the elements of a general guitar setup. If you don’t have experience making these adjustments, then you should definitely take it to a shop for professional. Intonation has a huge effect on your guitar. A guitar that is not intonated correctly will not be in tune across the entire neck. Nothing sounds worse than a guitar that isn’t properly in tune. It doesn’t matter how expensive your guitar or amplifier is if you’re not in tune, you’ll sound bad. Lower action makes the guitar easier to play. If the action is set too low, it will cause fret buzz and sound horrible. It’s important to properly adjust your action so you that you’re comfortable while you play. Don’t take for granted how much the playability of a guitar can affect your tone. The fact of the matter is that your guitar tone is influenced significantly by factors that aren’t even directly a part of your guitar itself. 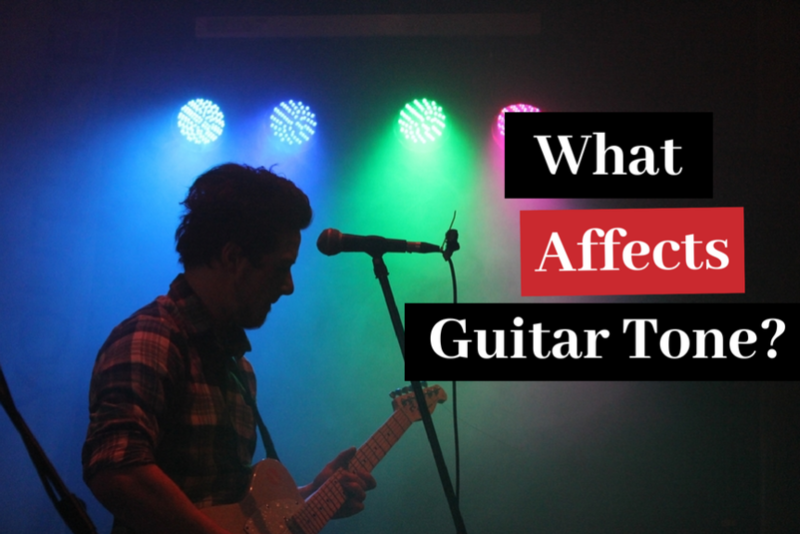 External factors such as guitar amplifiers, cabinets, effects pedals, cables, and even the acoustics of the room you’re in have a huge impact on your guitar tone. For example, if you take the same guitar and plug it into a different amplifier that’s dialed differently and uses different effects, it will sound completely different. So, try not to get too caught up on buying a guitar with the most expensive woods, hardware, and strings. At the end of the day, these factors might not have as much of an effect on the tone as you might think. The bottom line is that there are hundreds of different parts of an electric guitar that affect its tone. So if you want to make the most out of your electric guitar, you’ll need to understand these different factors and what role they play. I hope you enjoyed this article and learned something new. If you’re interested in reading other guitar-related content just like this, be sure to check out the rest of my posts on Guitar Advise.